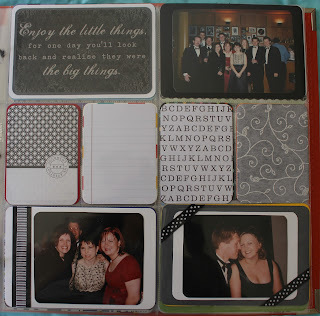 Last weekend I scrapped instead of adding to the blog...so I got a few of the more difficult pages done. Not difficult in terms of subject matter, just difficult in that there were odd photos, they didn't match etc. 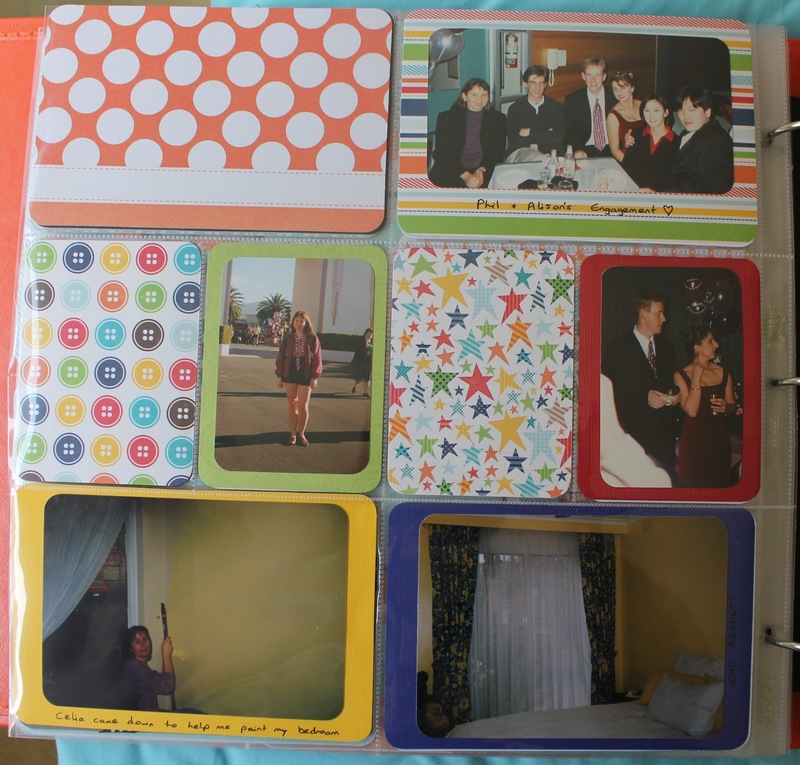 Solution was to concentrate on putting them in, and using bright multi coloured papers to go with them. 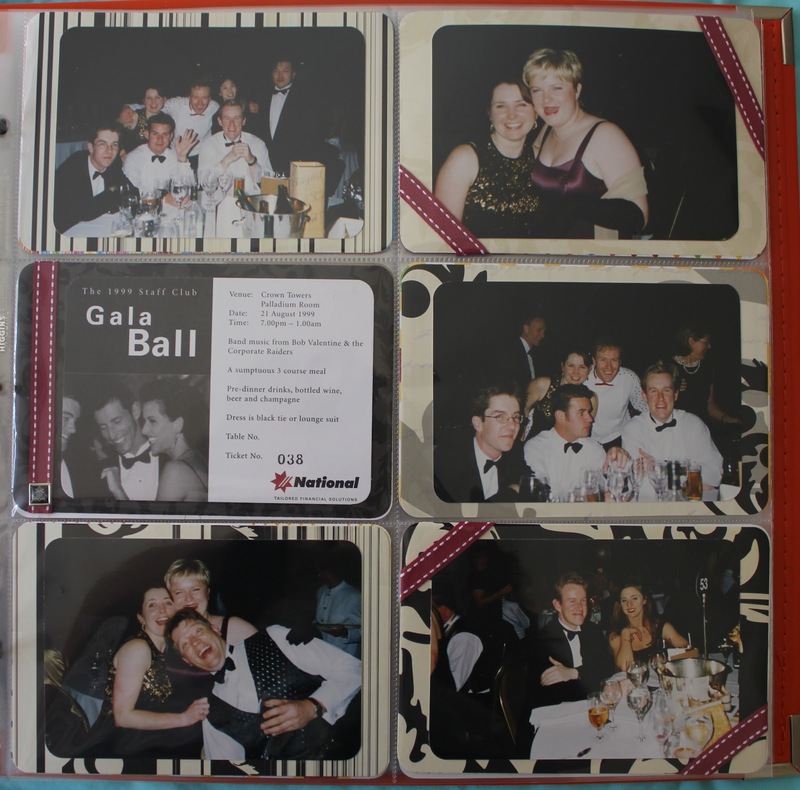 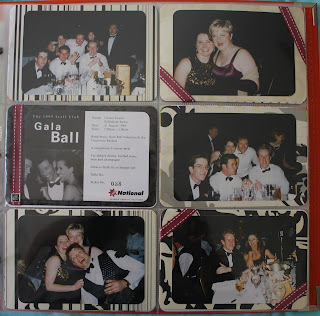 First up......the NAB Bank Staff Ball 1997....good night, great friends! 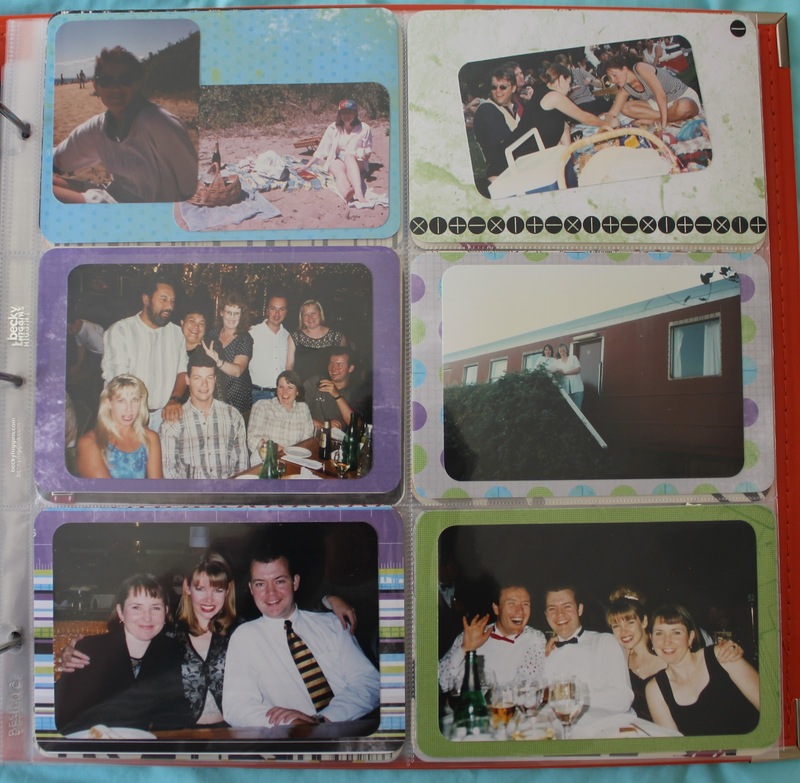 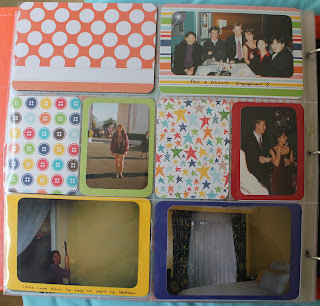 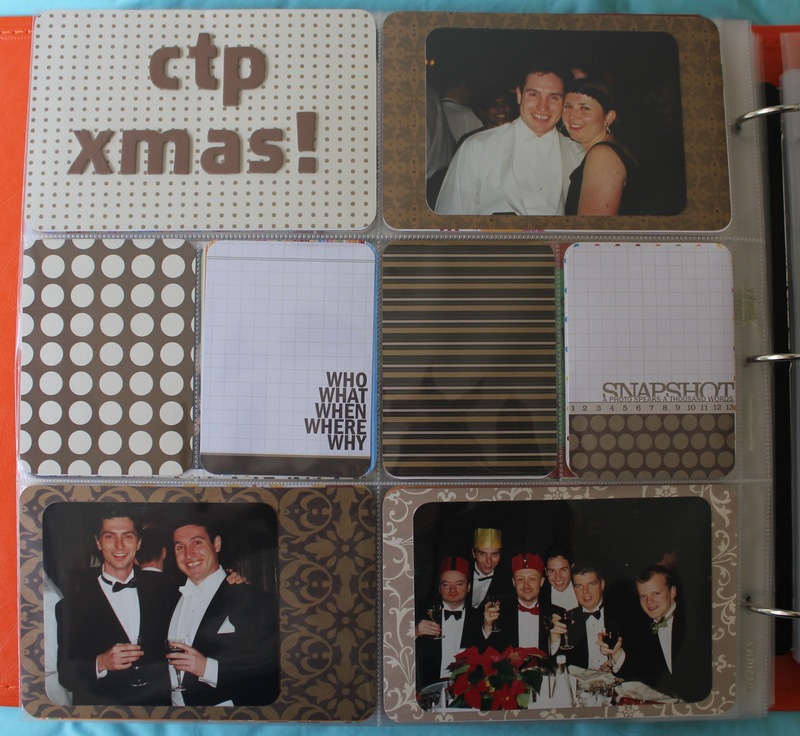 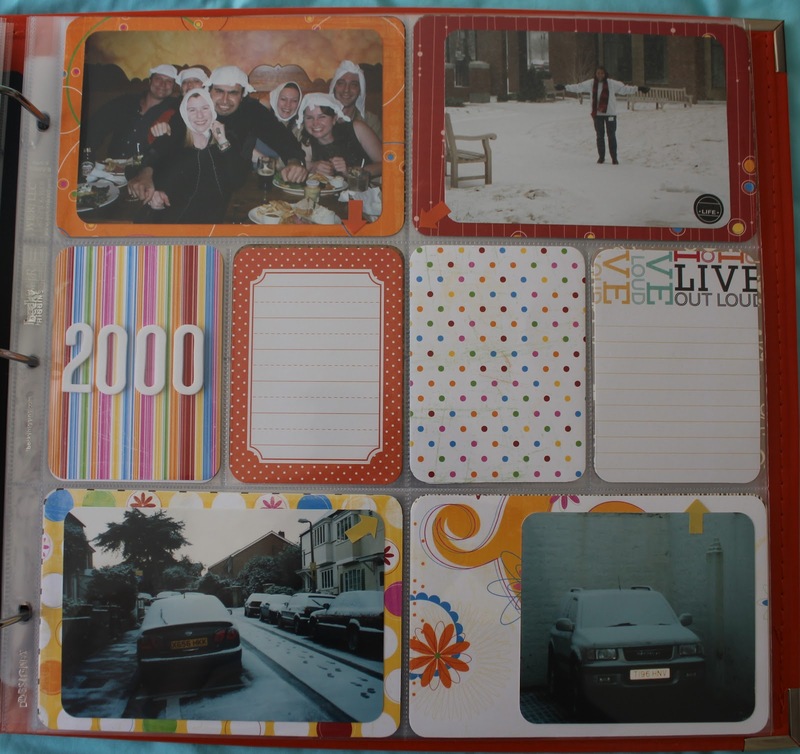 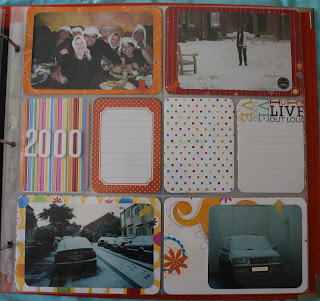 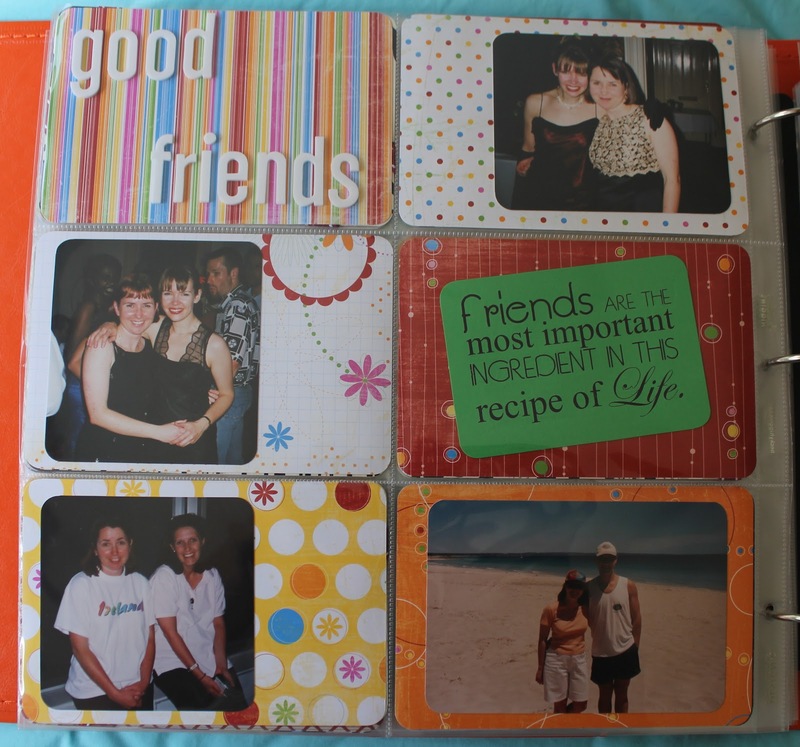 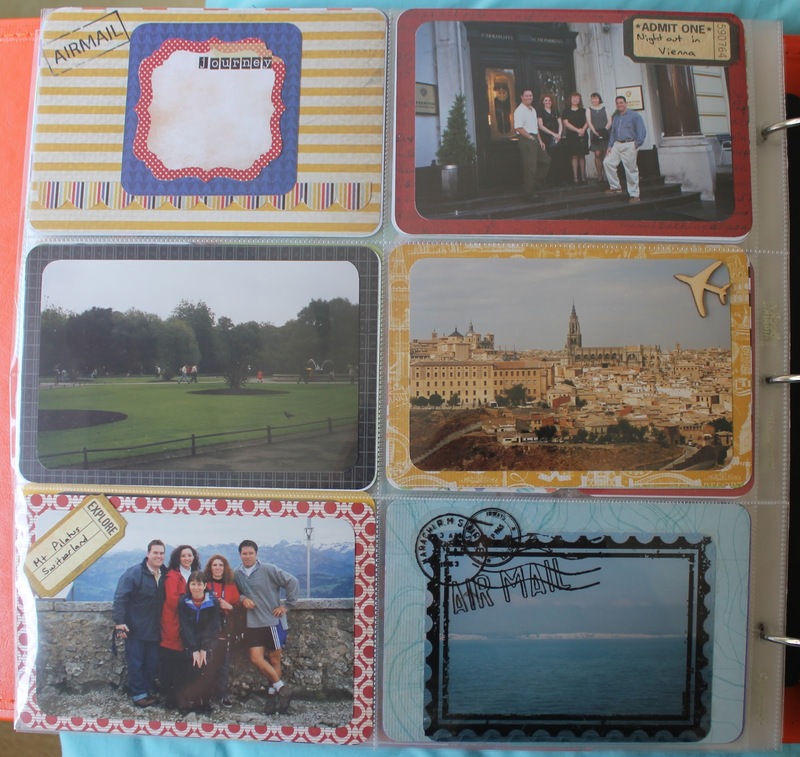 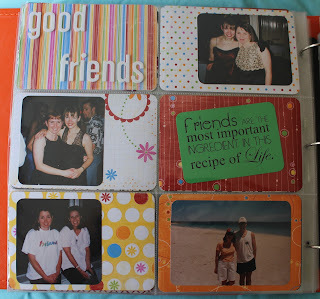 Top right is me and my now hubby.....so the last 12 years we have lots of photos of our time together.....pages from here in will just be snippets of the really big moments! 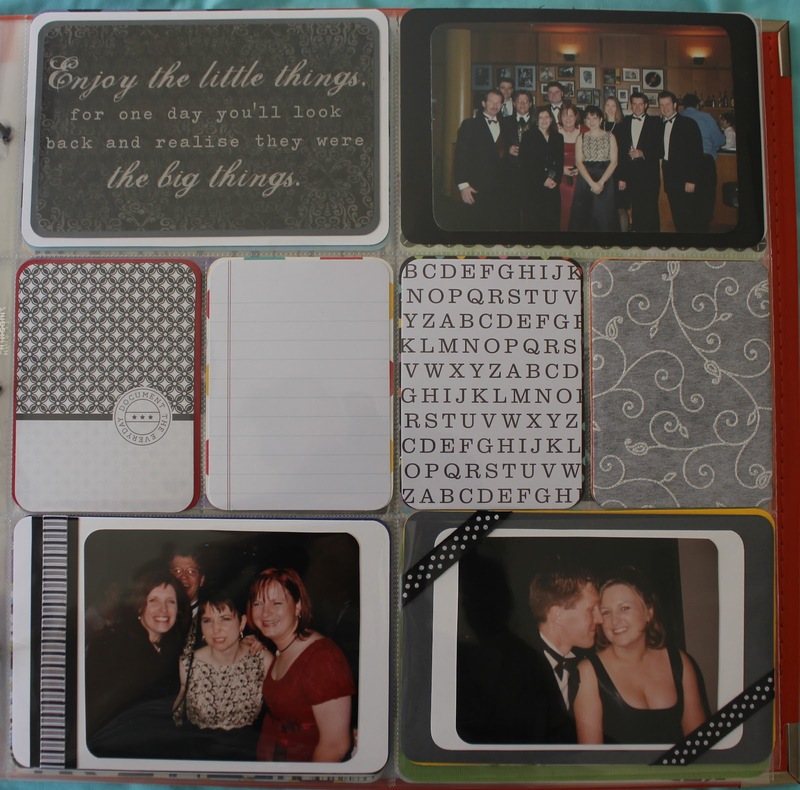 I love them Amanda, simple and beautiful.